Happy St. Patrick’s Day! Let’s take a look at a part of Ireland’s history since 1759 — the brewing of Guinness. From the Battle of Waterloo to brewing with sorghum in Benin, Guinness has made its name around the world. Now raise a pint of Dublin’s own Guinness to our fellow Irishmen and women. 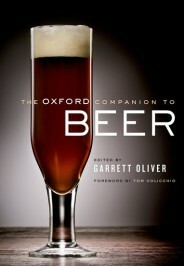 The following article is Brian Glover’s entry on Guinness in the Oxford Companion to Beer, edited by Garrett Oliver. Arthur Guinness & Sons are the brewers of the world-famous Guinness Stout family of beers. Arthur Guinness began brewing in Dublin in 1759. Initially he produced other ales, but seeing the success of imported porter from England, he completely switched to producing this popular beer style by 1799. He even reversed the flow of the beer trade at the time, sending exports from Ireland to England. By 1815, Guinness’ beer was so well known that wounded officers at the Battle of Waterloo were calling for it by name. The second Arthur Guinness (1768–1855) issued an “extra stout porter” in the 1820s, which eventually became known as just Guinness Stout. He made Guinness the largest brewer in Ireland. His son Benjamin (1798–1868) turned Guinness’ brewery at St James’s Gate into the largest brewery in the world, with its stout sold around the globe. A franchise was granted to McMullen of New York in 1858; Speakman Brothers of Melbourne started distribution in Australia in 1869. The familiar buff label with its harp trademark first appeared in 1862 and in 1878 a new brewhouse was built under Edward Guinness (1847–1927). By 1910 the ever-expanding plant was producing 2 million hogsheads (54 UK gal, 64.8 US casks) of stout a year. It was a vast enterprise, with enough fermentation capacity to hold 30,000 barrels at any given time. In Dublin, the brewery became a city within a city, employing an army of men complete with its own power station and internal railway system. One quarter of a million wooden barrels were stacked in vast mountains on the 64-acre site. Sales were so strong that Guinness only felt the need to begin extensive advertising in 1929, with the first official poster carrying the famous slogan “Guinness is good for you.” Soon its advertising gained iconic status, notably with artist John Gilroy’s striking posters from the 1930s, such as a man carrying a girder under the slogan “Guinness for strength.” In 1936 a second brewery was opened at Park Royal in London to keep up with demand in England. E&J Burke of New York City came to dominate Guinness exports into the United States and in 1934 built the Long Island Brewery in the New York City borough of Queens to brew their own beers after the repeal of Prohibition. When Burke ran into financial difficulties during World War II, Guinness bought the company and began brewing Guinness there in 1948, making it the first Guinness brewery outside Ireland and the UK. But the venture was not a success and closed in 1954. After World War II, the family company began to look beyond the stout at the center of its business. Guinness re-entered the ale trade after taking over Cherry’s of Co Wexford in 1952 and then in combination with English brewing giant Ind Coope through Irish Ale Breweries, notably with a beer called Phoenix. The firm’s bicentenary was celebrated in 1959 with the planning of its own Harp lager, brewed in Dundalk. Smithwick’s of Kilkenny was next, in 1965. But the black stuff remained the flagship beer, and not just at home. 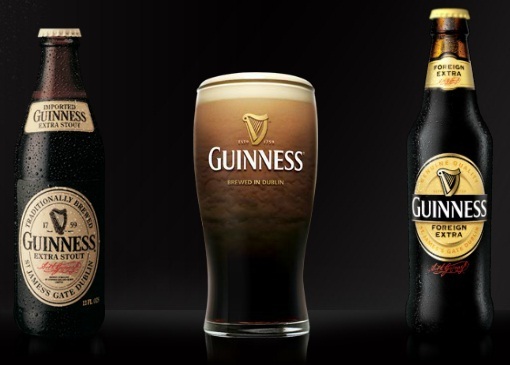 Since 1962 Guinness has built breweries around the world in Nigeria, Malaysia, Cameroon, and Ghana. In addition, the stout is brewed under license from Canada to Africa and Australia, whereas exports continue to flow out of Dublin. When ￡180 million was invested in a new brewery in Dublin in the 1980s, 40% of production was for export. Today, Guinness is brewed in 48 countries and is sold in a further 100, with Nigeria the largest market after the UK, having overtaken Ireland in 2007. Around the world, people enjoy 10 million pints of Guinness every day. Guinness is coy about revealing specific market figures, but sales have been declining in traditional markets like Ireland and the UK while rising in Africa. The company is now targeting Asia. As familiar as the beer may seem, there is not one Guinness Stout, but several. The stout varies in strength and character depending on the market. Most use unmalted roasted barley and are heavily hopped to give the beer a ruby–black color and dry, roasted, bitter flavor, notably still to be found in bottled Guinness Extra Stout or Original (4.2%). The kegged draught version (4.1%), first introduced in 1954, is much smoother and creamier owing to the nitrogen dispense system. The last wooden casks of cask-conditioned Guinness were filled in 1963 and the last pint of “plain porter” was poured in 1973. The bottled and draught stouts are so different that in 1988 a canned “draught” Guinness was launched using a “widget” to burst nitrogen out of the beer and recreate the smooth brew served over the bar, followed in 1999 by a bottled version. Stronger stouts are brewed for export, notably Foreign Extra Stout (widely called FES; 7.5%), which is today the oldest version of Guinness, having first been brewed in 1801. It accounts for 40% of all Guinness sold around the world. There is also a mellow Special Export (8%) for the Belgian market. These beers are partly blended using specially matured stout. St James’s Gate also exports concentrated versions of mature stout to blend into beer brewed abroad to provide the characteristic flavor and color. Because FES is matured for long periods with a high hop rate, it develops an aged vinous flavor from high levels of lactic acid, giving a thirst-quenching characteristic popular in tropical climates. Stronger Guinness is especially popular in Africa and the Caribbean. Guinness does its best to use local materials, brewing their beer with sorghum in Benin and Nigeria. Guinness took over United Distillers in 1986. A further merger with Grand Metropolitan in 1997 to form Diageo saw the combined company become the world’s largest alcoholic drinks company and biggest whiskey producer with 30 distilleries. In recent years the company has tried to broaden the Guinness brand but with limited success. Beers have included Guinness Light, Brite, Bitter, Red, Gold, and Breo, a wheat beer. Most were soon withdrawn. The latest, released in 2010, is Guinness Black Lager. Declining sales saw the Park Royal Brewery in London close in 2005. Sales have declined in Ireland and most European markets in recent years, but risen in Africa. The company now also looks to Asia for future growth. Featured image: Guinness by Letizia Barbi. CC BY-SA 2.0 via letiziabarbi Flickr. Brian Glover is the author of many books on beer. The Oxford Companion to Beer editor Garrett Oliver is the Brewmaster of the Brooklyn Brewery and author of The Brewmaster's Table: Discovering the Pleasures of Real Beer with Real Food. He has won many awards for his beers, is a frequent judge for international beer competitions, and has made numerous radio and television appearances as a spokesperson for craft brewing.